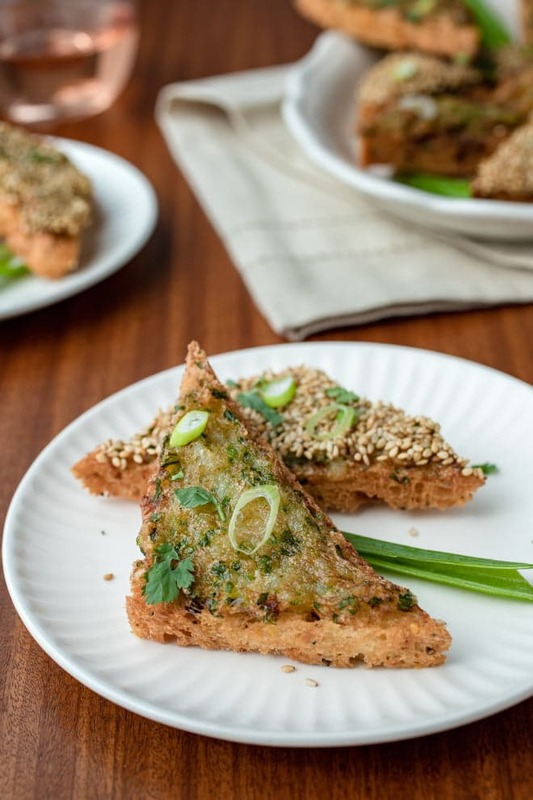 Traditionally served from a dim sum cart in Chinese restaurants, now you can enjoy crispy Shrimp Toast at home with this easy to make recipe. The word toast may be a little misleading. Shrimp toast is nothing like avocado toast and it’s nothing like toast with jam. 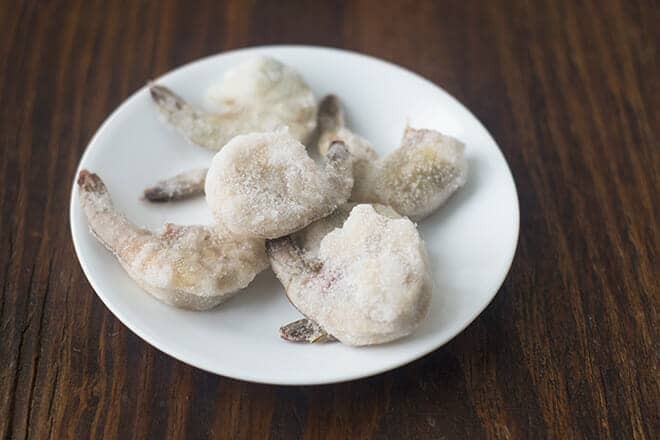 This recipe is a crunchy, appetizer-sized morsel made with bread, shrimp, and scallions. It’s so easy to put together I wonder why I only ever had them at my favorite Chinese restaurant for so long. Well, honestly, because they do make a pretty awesome shrimp toast. But, if I do say so myself, this recipe for shrimp toast is just a good. 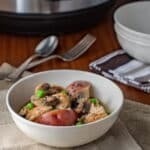 This recipe comes together in about 15 minutes plus the time it takes to fry up the batch. Thirty minutes tops. 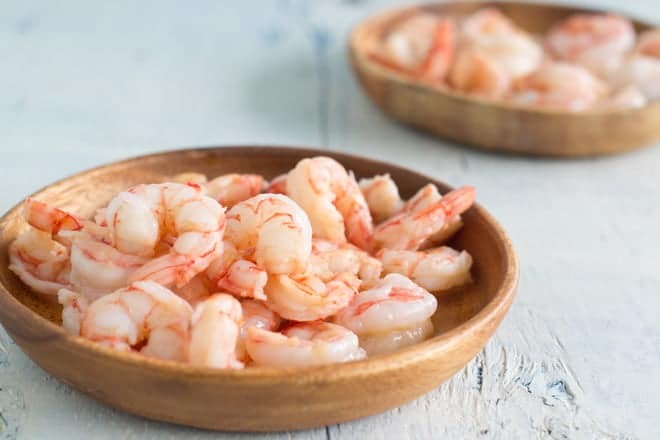 Even if you decide to make them on the spur of the moment and just have frozen shrimp on hand, you’ll only add 5 minutes of prep time following this tip to thaw shrimp. Any bread that you have on hand will do, but honestly, standard thin cut white sandwich bread is my favorite. I feel like it doesn’t compete with the flavors of the shrimp, scallions, and cilantro. The food processor makes quick work of creating the shrimp paste. 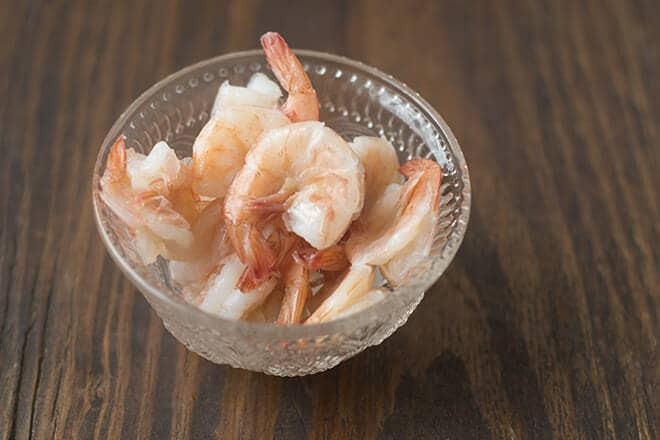 If you don’t have a food processor, you can always chop the shrimp with a knife and then mix the shrimp paste together by hand. 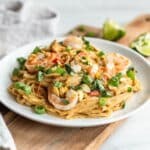 Combine the shrimp, egg, cilantro, scallions, cornstarch, garlic, soy sauce, and ginger in the bowl of a food processor. Pulse the mixture until a smooth paste is formed. If there are some lumps it’s OK. Spread the shrimp mixture of each of the bread triangles. 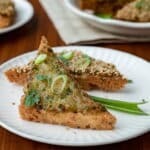 Dip half of the bread triangles, shrimp side down in the sesame seeds and coat evenly. Heat the oil in a Dutch oven or fryer to 350˚F. Working in batches, fry the toasts starting shrimp side down for 2 minutes. Turn the toast and cook on the second side until golden brown, about 1 minute. 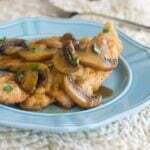 Transfer the toasts to a paper towel-lined plate and continue frying the Serve warm. 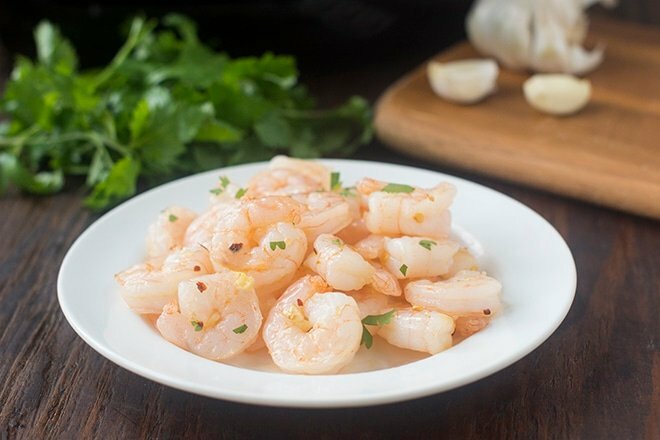 Season with salt and garnish with parsley.